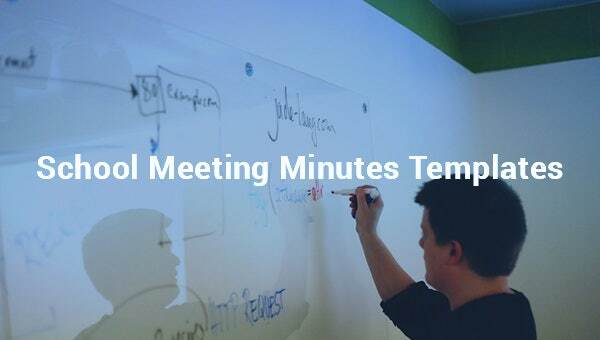 School meeting minutes templates enable you to have a formal recording of a meeting that happened at a particular time and place. 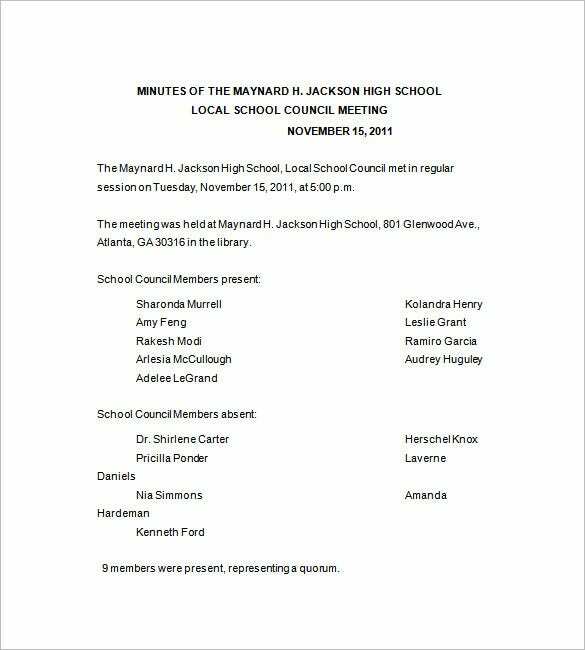 It contains the name of the attendees and can also contain a brief reminder of what happened in the previous meetings. It also contains the report from superintendent of schools and details of the unfinished and new businesses, See how to write meeting minutes templates. 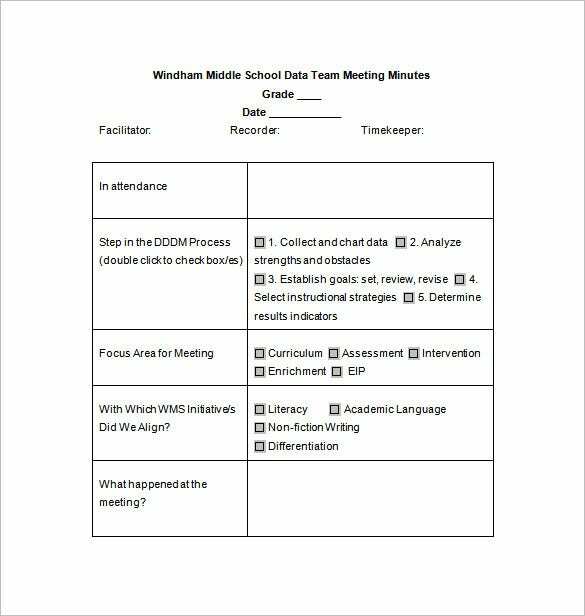 The Sample School Meeting Minutes Template presents a sample of Windham Middle School Data Team Meeting Templates for a particular grade in a tabular format highlighting the Area, Assessments, etc. 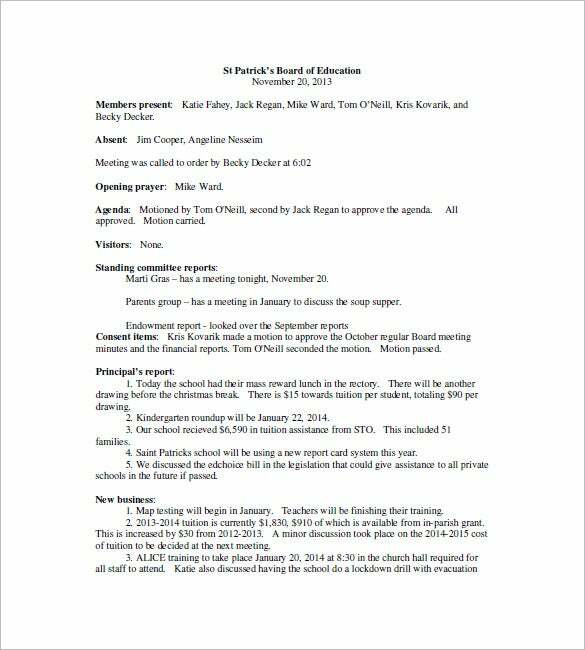 The School Board Meeting Minutes Template presents a sample example template of St Patrick’s Board of Education Meeting Minutes that discusses agenda, people present, principal’s report, new business, etc. 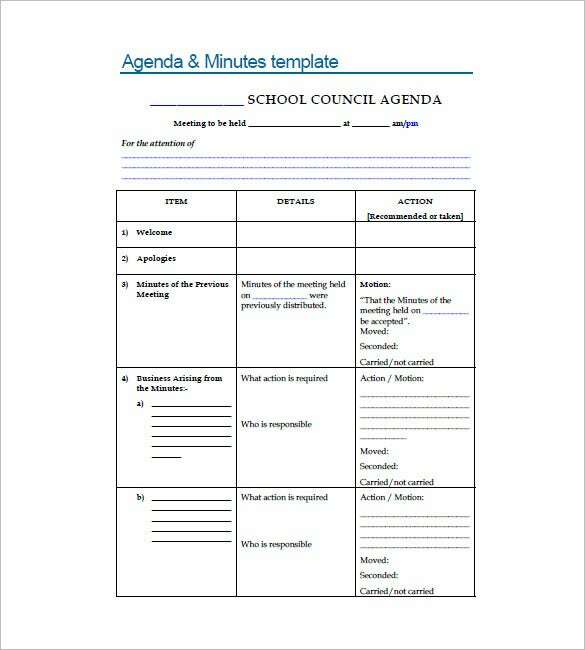 The School Council Meeting Minutes Template presents sample minutes from a regular meeting. This basic version template mentions the members present and absent along with the motion of the meeting. 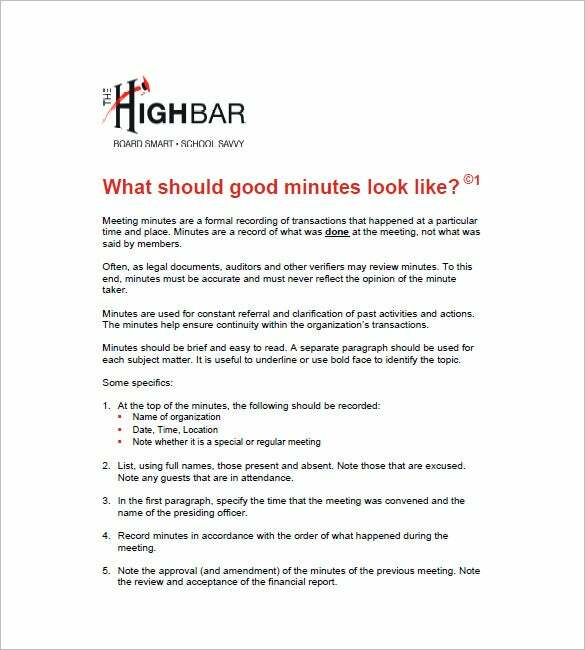 The School Department Meeting Minutes Template highlights a sample template by HighBar School which aims at presenting the specifics and all details of preparing organised and neat minutes of a meeting. 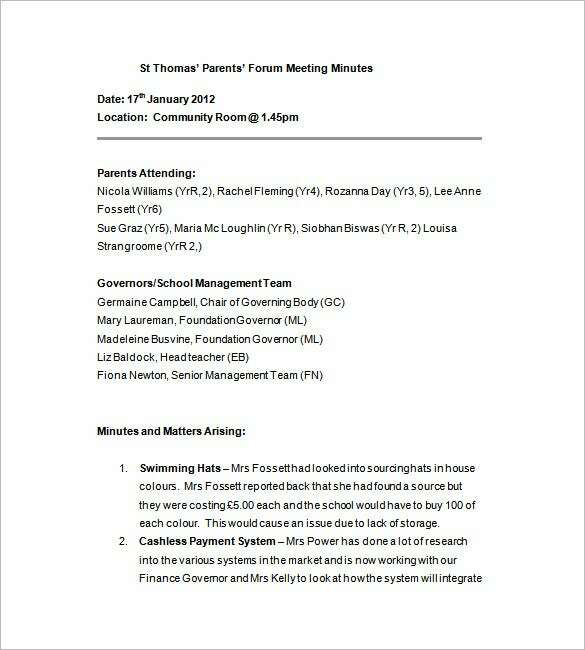 The School Improvement Meeting Minutes Template displays the meeting minutes held with the student’s parents by St Thomas School listing down the parents and governors attending the meeting and matters arising from the meeting. 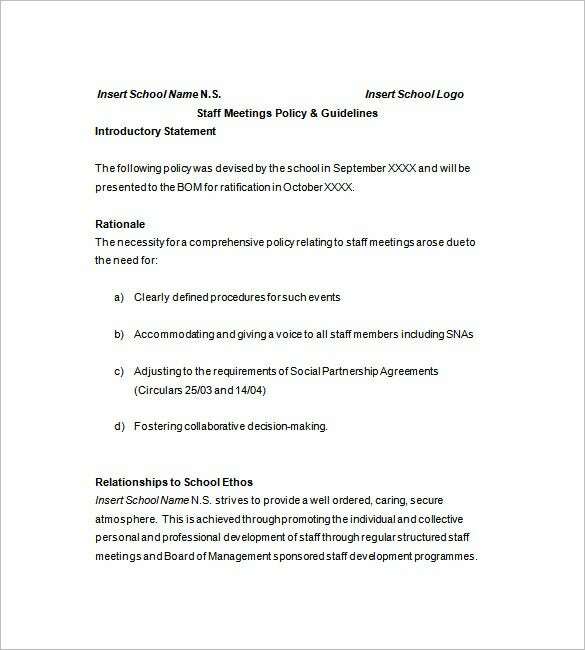 The School Meeting Minutes Template Example presents the Agenda and Minutes of a Meeting in a tabular format. It highlights Welcome, Apologies, Minutes from previous meeting, arising Business and action. Details of business arising from correspondence between, President, Principal and finance managers can also be put down in here. 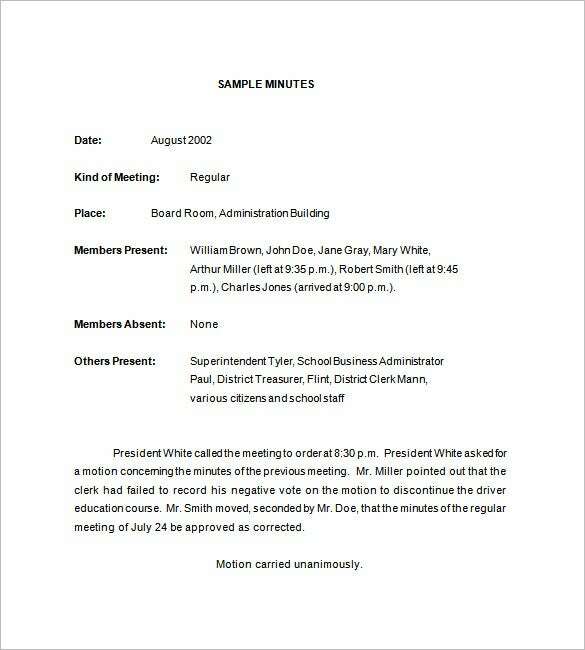 School board meeting minutes Word and Excel template can also be used to record similar details. Details of next meeting can also be mentioned in here.